Left Hand Brewing takes its beer events seriously. Check out the calendar of the Longmont, Colorado-based brewery and you will see a monthly schedule full of beer dinners, music, tap takeovers, beer release parties, and more. They also have their High Five series of events that have become so big they are all held in nearby parks and not at the brewery: Hops & Handrails, Nitro Fest, etc. But it was a recent press invite from Left Hand we at Eat Drink Boulder received that really peaked my interest. The invitation was to attend the second annual Craft Brewing Events Conference. The CBEC is for industry, not consumers. It is not a beer event but a conference about how to put on an awesome beer event. 260 people attended this year’s one-day meeting at Coors Field in Denver, mostly brewery events people from Colorado but with good representation from outside the state as well. As someone who organizes conferences, including beer industry conferences, it makes total sense to me to gather brewery event planners to share wisdom and network. What didn’t make sense to me was why Left Hand Brewing would take on the onerous task of organizing a conference for their peers. Where, with whom, and when did the idea for the CBEC originate? CBEC’s concept developed in late 2014 as a result of the growing number of festivals in the Colorado craft beer scene. We recognized a need for our industry’s event professionals to gather, share ideas, inspire each other, network, and work together to propagate the “not just another beer fest” movement. Why does Left Hand Brewing invest the resources in the CBEC, which I assume doesn’t do much more than break even? Left Hand Brewing is committed to contributing to the craft beer movement. We do this in several ways, but you’ll often find members of Left hand’s staff active on board’s (Colorado brewers guild, brewers association, master brewers association of America, etc). Our Controller, Mark Boelman, founded the Craft Brewing Accountants Conference and our HR Director is active with the Craft Brewing HR Group. Though CBEC is a sizeable commitment, we see it as our obligation to the industry. Left Hand is involved with five major events and you must be very busy. Does your involvement with the CBEC take up much of your time? Yes. Where do you hope to go with the CBEC in future years? 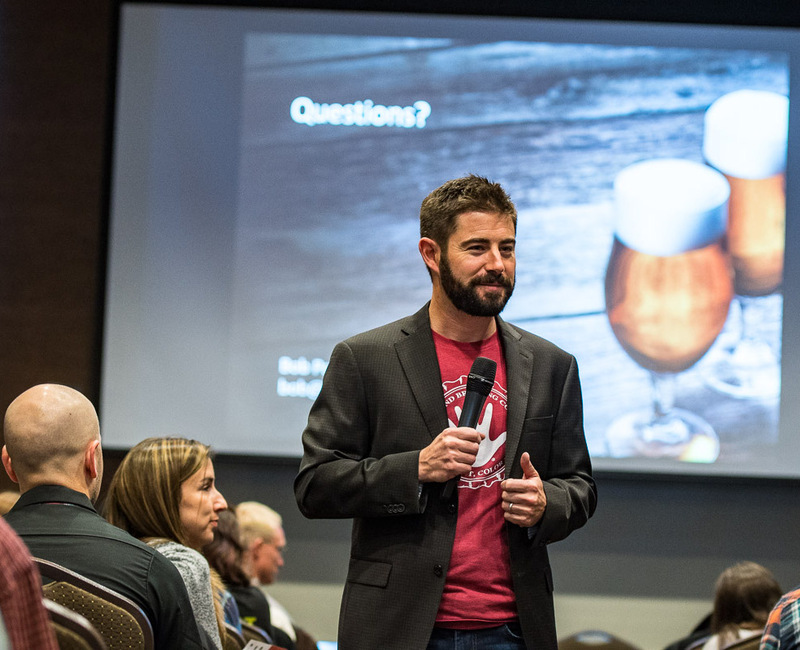 For next year, we’ll grow the national focus (less Colorado-centric), grow the relevance for small & large breweries, grow the relevance for small & large events, add more specialized panels & workshops to dive deeper on topics, and keep the event concept the focus, but be flexible with the content. How important are events to Left Hand? To the beer industry? We use our special events as a way to give back to our community, support nonprofits, elevate the Longmont experience, and to be stewards of the craft beer movement. Generating memorable experiences is a great way to raise awareness for our brand as well. To date, our special events have raised almost $500,000 for charity and those kind of numbers make a difference. As it relates to the rest of the craft beer industry, throwing special events, beer festivals and concerts is nothing new. Of late, however, there has been a radical growth in the number of craft beer events (just as there has been wicked growth in the industry) and now is the time to make sure we’re all doing them right and to make sure we’re upholding our brands, our towns, and our industry in a positive light. Personally, I think what Left Hand is doing with the Craft Brewing Events Conference is admirable. Sure, they get something out of it: education to make their own events better, good exposure within the industry, and probably some fun combined with all the work. But many businesses would not dedicate the needed staff time to make something like this a reality. So the next time you attend a beer event, if you leave on cloud nine after an amazing event, you might have Josh Goldberg and his team at Left Hand Brewing to thank. Eat Drink Boulder writer Allan Wright participated in the Craft Brewing Events Conference courtesy of Left Hand Brewing. The photo of Josh used in this article is courtesy of Eddie Clark Media.